Maharani Chimnabai High School (M C High School) was established by former Chief Justice Bhausaheb Gokhale with support of Maharani Chimnabai II. Maharaja Sayajirao Gaekwad III, the visionary ruler of erstwhile Baroda State were well known for promoting education. It was Maharani Chimnabai II, (second wife of Maharaja Sayajirao Gaekwad III) who made efforts to make that dream came true. * After the premature demise of Maharani Laxmidevi (Chimnabai I) in 1885, Maharaja Sayajirao Gaekwad III wedded for the second time with Gajrabai from Devas province, who was renamed Chimnabai II. In Year 1909, there were many complaints of insufficiency of accommodation in Government High School – Baroda High School and Sayaji High School because there was no Marathi medium available in both the Schools. So the only way was to start a New School. M C High School is a Marathi Medium School which was functioning from Wada, taken on lease. The School started functioning on 11th November 1911. Baroda Education Society is the trust which runs the school. Then a few leading personalities led by Bhausaheb Gokhale provided schooling facilities to Marathi medium pupils by opening a small school. 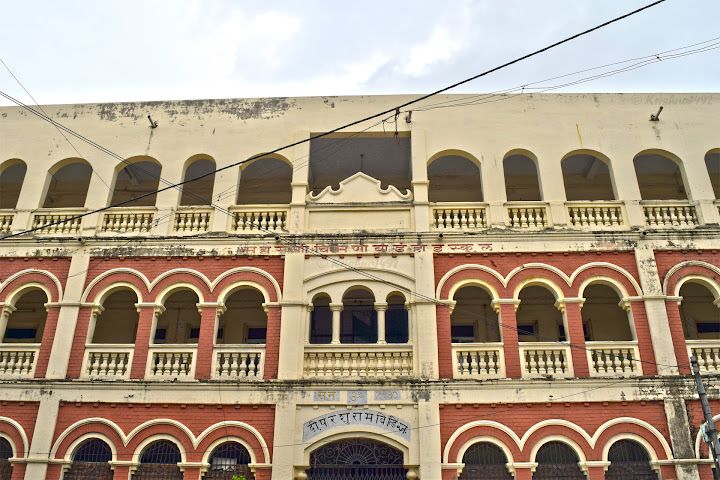 The school started functioning from its present permanent building at Salatwada from 1st August 1930 with an opening ceremony in presence of Maharaja Sayajirao Gaekwad III and Maharani Chimnabai II, where Maharaja Sayajirao Gaekwad III and Maharani Chimnabai II donated some Rupees. This is only School in Gujarat which runs all streams up-to 12th Standard in Marathi Medium. The School completed 100 Years in Year 2011.